Advertising could be considered the sociology of business. We closely measure and tally audiences, and craft messages that specifically target specific groups, or brand across mass media to reach people on a large scale. Recently, some newer forms of media have presented opportunities to target niche audiences. 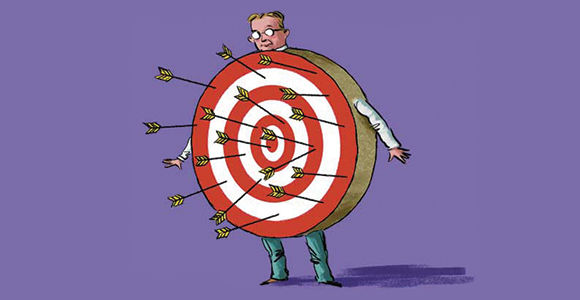 But what happens if you take targeting too far and only strive to reach the “perfect” target audience? For one thing, you run the risk of excluding potential customers who might also be interested in your product or service. Let’s say you run a small gymnastics camp. You can buy online ads that only hit suburban middle class families, a seemingly well-identified segment. But if taken to its furthest extent, that kind of targeting can actually lead to social exclusion. Take John Orozco for example, a 19-year-old American gymnast and the 2012 Visa National Champion. He’s a dark-skinned Puerto Rican kid from the Bronx who began competing at age seven after his father – a sanitation worker – received a coupon for a free gymnastic class. John overcame some of the most clichéd racial prejudices and helped inspire a cultural shift in a nearly all-white sport. But what if his father never received that coupon because he wasn’t in the “ideal” target demographic? It’s important to remember that human behavior is not a predictable science. No matter how well we target, we can’t possibly know every motivating factor. Perhaps we should be less concerned with ultra-focused niche targeting, and more concerned about all the potential customers that mass media vehicles can reach as part of your overall media strategy. Ask yourself: How many people might be interested in doing business with you if only they had exposure to your brand?